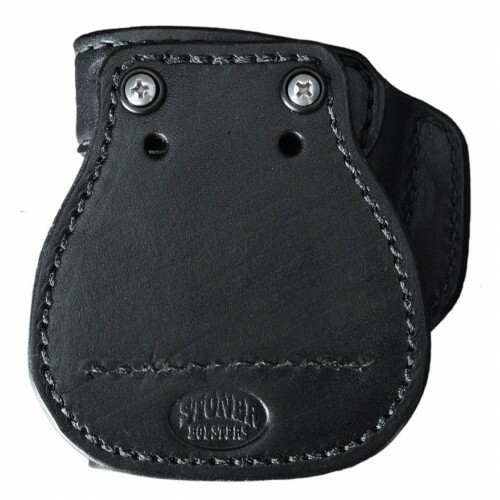 When convenience is important the Leather Paddle Holsters made by Stoner Holsters is a popular choice. 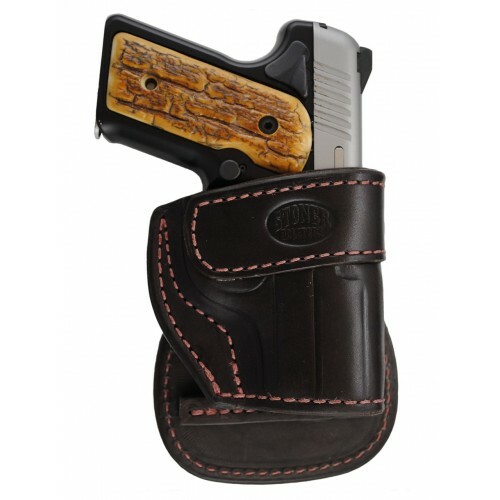 The flexibility of being able to remove your holster without removing your belt or the worry of where your belt loops are is the reason many people choose this style of holster. With limitless positioning options the paddle holster is open topped for speed and combat grip accessible. 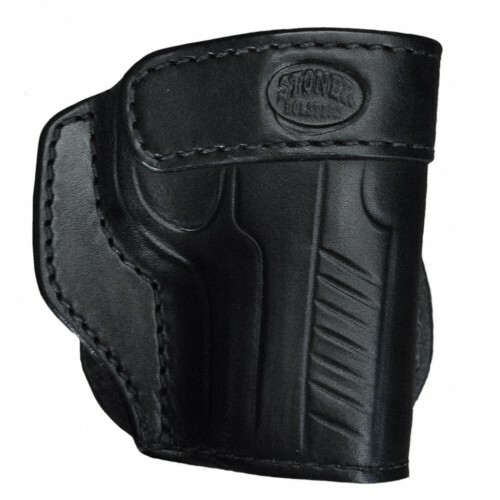 Deep molded for excellent retention, covering the trigger guard for protection. 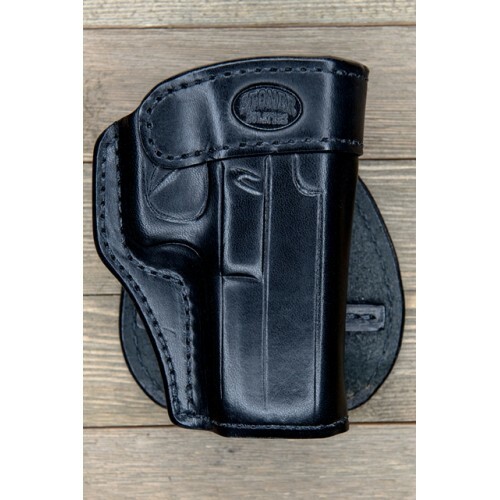 Exceptionally comfortable the paddle holster contours to your body for stability and is suitable for all day use. The Paddle backing is attached with two screws and actually sits inside of your pants. The leather strip sewn onto the paddle will grab your belt from underneath to stabilize the holster and provide a reliable draw. Adjustable Cant. 15° forwards or backwards. May be worn with no cant for straight up and down carry. The paddle will break in and contour to your body's shape providing a more secure fit inside of your pants and comfortability. Suitable for all day carry. This holster is available for most semi-autos and revolvers. 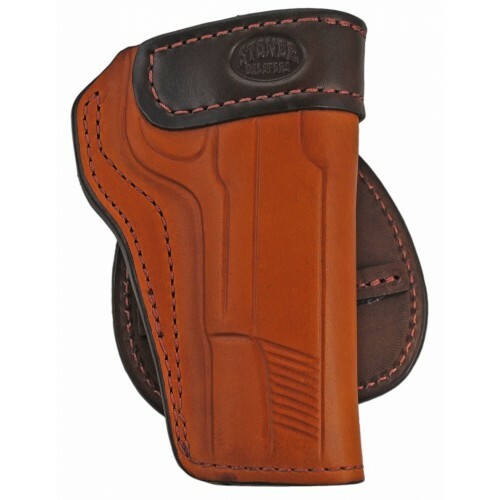 The Paddle holster is available in Black, Havana Brown, and Chestnut.